The chief has been slowly disappearing for years, and Cleveland finally decided this year to remove the logo entirely from on-field play. You can still buy Chief Wahoo souvenirs, but that’s it. So what is DeVoe’s issue? While several activist groups have celebrated the move as long overdue, as the mascot has been accused of being offensive to Native Americans, it’s unclear why the ball club made the decision. ….First, was there any real pressure to change the logo? The modern fight to purge professional sports teams of Native American mascots was seemingly abandoned in 2016 when the Washington Post found that nine of ten Native Americans polled took no offense at the Washington Redskins’ logo or team name….Second, the mascot didn’t come from a place of racism originally, and modern Indians fans don’t wear it out of spite or to perpetuate stereotypes. Indians pitcher Allie Reynolds, himself a Native American, was the inspiration for the name, as “Chief Wahoo” was a sobriquet for Reynolds. Plus, the original image was intended to be jovial, whereas the oft-cited problem with Native American mascots is that they perpetuate a stereotype of savagery. All in all, it looks like an unnecessary and misguided attempt at heading off a controversy. Let’s spell this out. 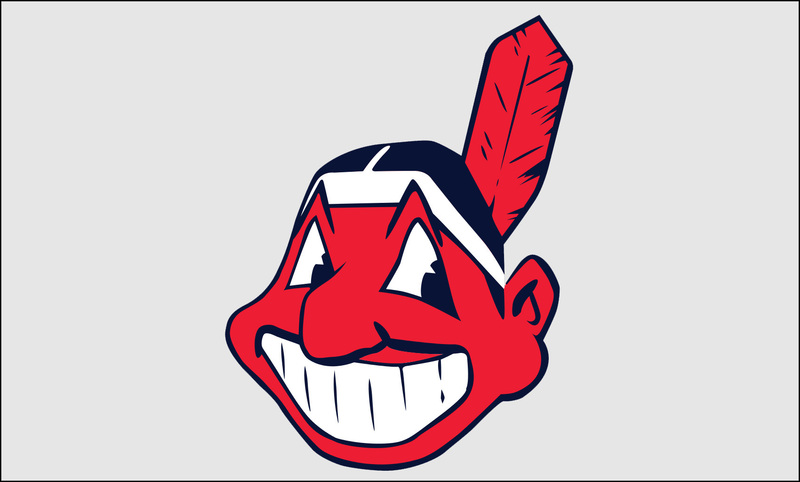 DeVoe’s argument, I guess, is that not every Native American objects to the Chief Wahoo logo. It’s not the subject of any special feeding frenzy right now. Nobody thought of it as racist back in 1946.¹ And it’s not like Wahoo is scalping a white man or anything. So why think ahead and get rid of him now? This is almost a parody of the anti-anti-racist position. Conservatives practically never complain about actual racism, but even the tiniest movement to oppose racism manages to get their hackles up. Getting rid of the chief is just about the tiniest movement you can imagine, but even so it prompts a conservative complaint. And then they wonder why minorities keep on voting against Republicans. It’s a mystery, isn’t it? ¹A notably enlightened era, apparently.